Needless to say, when it comes to carbs, potatoes are my first (and second!) choice. I love them in all forms, but since I’ve given up most restaurant french fries due to the possibility of gluten cross-contamination, I tend to eat my crispy potatoes at home. The key to a perfect roasted potato is this: parboil before roasting. Parboiling starts the cooking process, meaning the potato will be cooked on the inside when the outside is done. Parboiling also releases starches necessary for crispy exteriors. 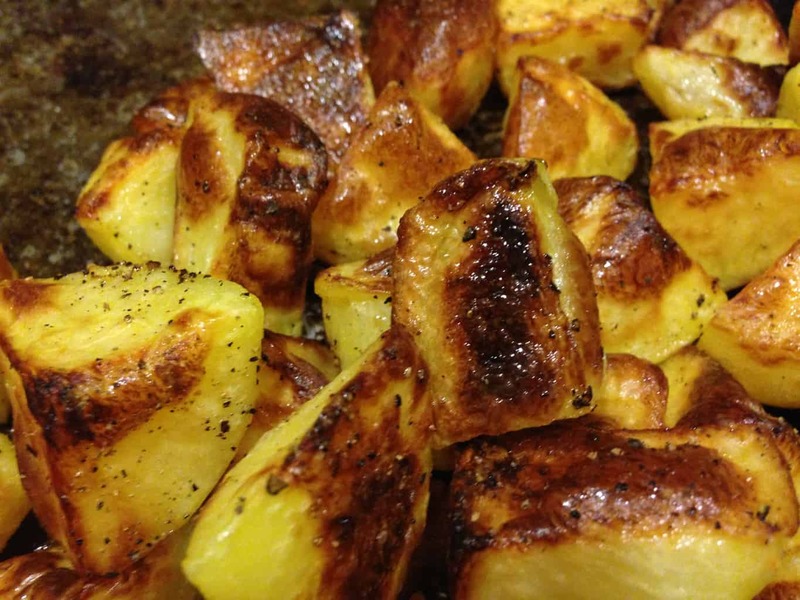 This recipe works equally well for oven fries! Note that you can season your potatoes with anything, from a simple salt and pepper with olive oil glaze to an aioli crust. Mmm, that sounds so good right about now. Roasting vegetables requires high heat, making your outdoor grill perfect for this task. To make it easier to turn the veggies on a hot grill, place them on skewers before grilling. And remember that denser veggies like potatoes will require more cooking time than vegetables like asparagus (here’s a quick reference guide). In Southern California, it’s almost always grilling season, so I tend to think about cooking outside whenever I cook certain cuts of meat. A flank steak with a chimichurri sauce is a perfect signal that it’s time to set up the outside table! While I like to dip my potatoes in the chimichurri, you can make a quick creamy ranch-style dressing with mayonnaise, sour cream or greek yogurt, and a bit of seasoning. This can offset the garlicky, peppery heat of the chimichurri sauce! First off, this is not an authentic Sinangag. 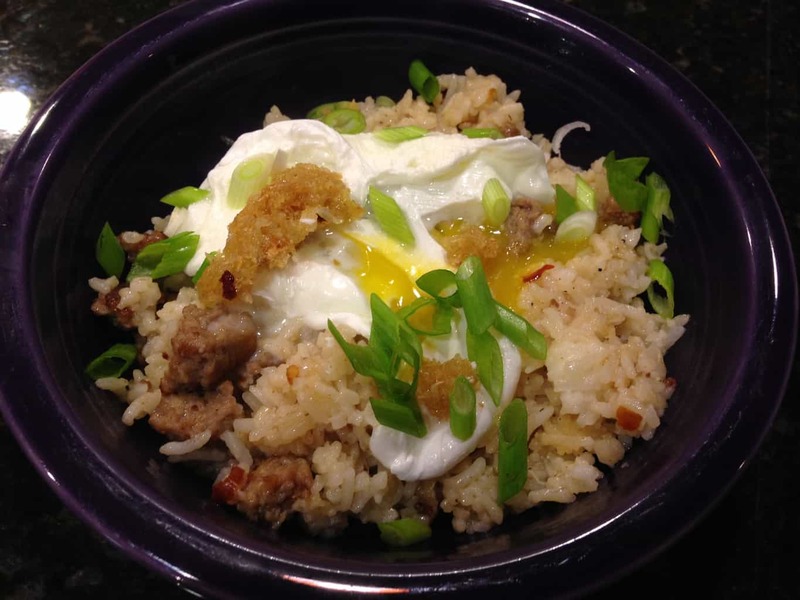 When I discovered this fried rice dish, I also discovered that every household in the Philippines has its own spin on the traditional breakfast dish. Some use garlic and rice only. Some add soy sauce. Many serve the vinegar sauce on the side only. As I played with variations on the recipe, I felt the rice needed a bit liquid while stir frying. I hit upon this approach after misreading a recipe in Saveur (http://www.saveur.com/article/recipes/filipino-garlic-fried-rice-with-vinegar-sauce-sinangag). Adding the sauce to the stir fried rice mellows the vinegar and garlic a bit, while incorporating heat from the red chile flakes. If you prefer, omit the sauce while stir frying. You’ll still need a good amount of garlic, remembering to reserve some for a crunch topping. It will be delicious either way. Our first meal in Milan was this delicious, beautiful rice dish. While it is technically a first course or served with Osso Bucco, my husband and I devoured a huge serving of Risotto Milanese and declared ourselves happy. I will confess to eating this dish a, um, few more times over the next week. And, of course, making it the moment we got home. 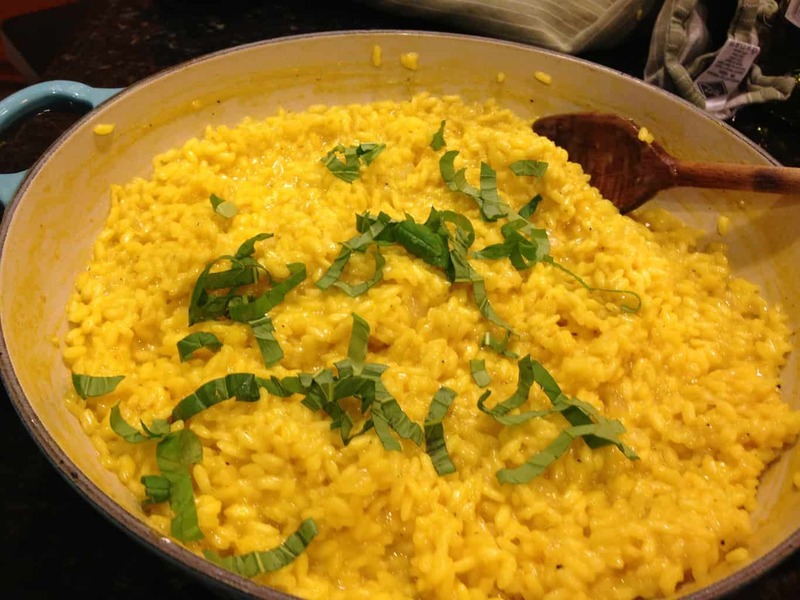 Risotto is a perfect gluten-free dish — elegant and delicious. Risotto has a reputation for being challenging and time-consuming. This is only sort of true. Yes, you need to keep on eye on the pan while the rice is absorbing liquid, but this generally happens in about thirty to forty minutes. Constant stirring is important, but you can also find time to do other tasks, including drinking a glass of wine! Twice baked potatoes are a fun way to make our friend the potato something special. If you use a microwave to cook the potatoes, this comes together pretty quickly on a weeknight. The key to twice baked potatoes is what you do with your mashed potato filling (plus, well, that sprinkling of cheese on the top of the potatoes). You can go as basic as salt, pepper, and butter. Or you can fancy your potatoes up with Greek yogurt or sour cream. Whatever strikes your tastebuds. My first memories of scalloped potatoes come from making this dish from a box. It was…good, but not something I’d crave. 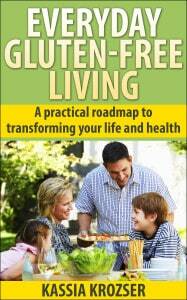 When I went gluten-free, I just assumed scalloped potatoes were off the menu. But, one night I found myself wanting something a little cheesy, a little creamy, and a lot potato-y. And scalloped potatoes were exactly what I craved! 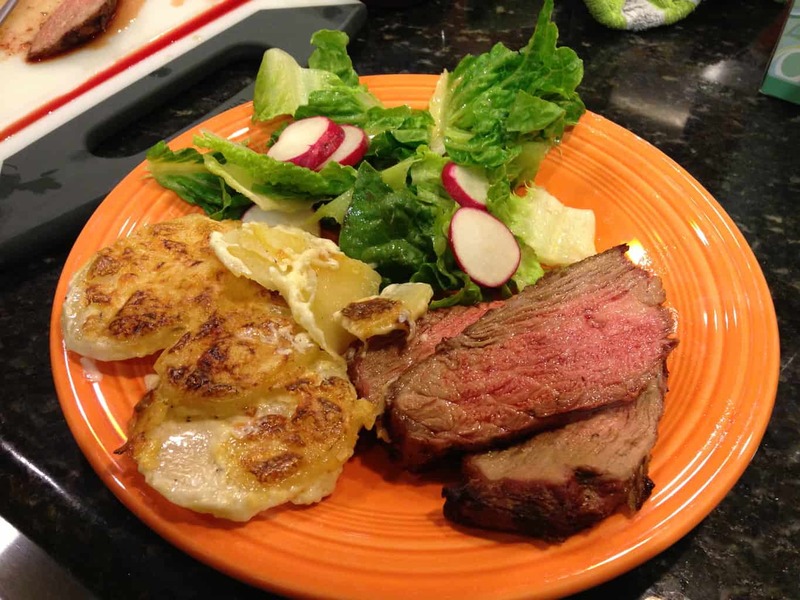 This recipe is perfect for weeknights or dinner parties. Parboiling the potatoes in the cream mixture cuts the cooking time, getting this dish on the table with little hands-on effort. I’ll admit it: I don’t have the patience to make sushi at home (though I hold out high hopes that someday I will!). I do love serving sushi rice — a slightly sweetened rice — with certain meals, particularly seared albacore. Making the rice is amazingly simple; it’s even easier if you have a rice cooker that does the bulk of the work for you. The recipe below assumes you’re cooking your rice on the stovetop, so if you do use a rice cooker, follow the directions for your machine (some have a sushi rice setting, which is really nice). One key thing to remember before cooking your rice is to wash it several times to remove the outer starches — I generally cover the rice in a bowl with water, swish a bit, then drain using a fine mesh strainer. You will notice the water is very cloudy the first couple of rinses, but will get clearer as the starches are removed. 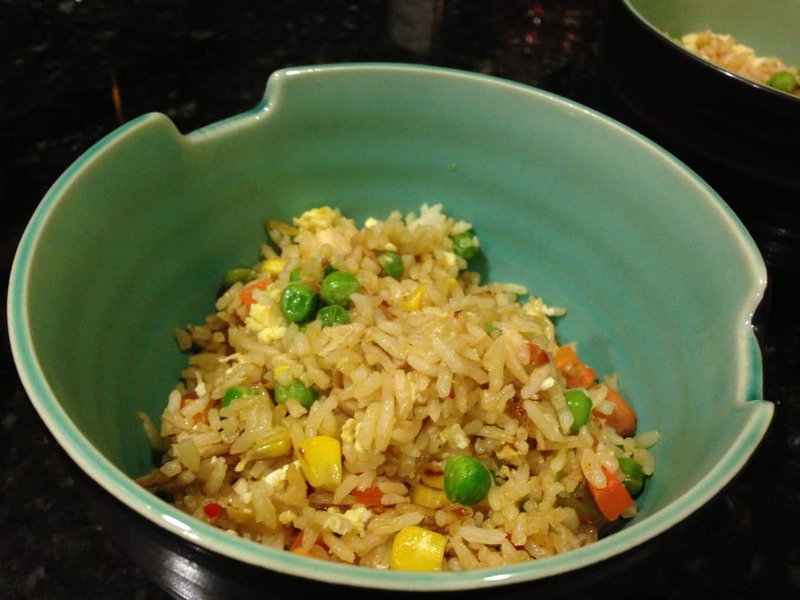 Fried rice is one of my favorite go-to dishes during the week because I always have leftover rice in the refrigerator — I make a big batch every week because it’s great for lunches and dinners. Taking a few minutes to mix up a sauce, shred some chicken, pull out some veggies, and, if I have one handy, crack an egg makes ordinary rice more interesting. The recipe below assumes you’re working with pre-cooked chicken and frozen vegetables. If you choose to cook your chicken, make sure it’s cut into very small bite-sized pieces. Saute the chicken until nearly cooked through and set aside. Do the same for the vegetables. Fish sauce is a key ingredient here. It adds flavor that soy sauce alone can’t create. Also, this is a lightly sauced fried rice because the fish sauce adds to much flavor. If you like more sauce, add at the end to make sure your flavors are balanced.